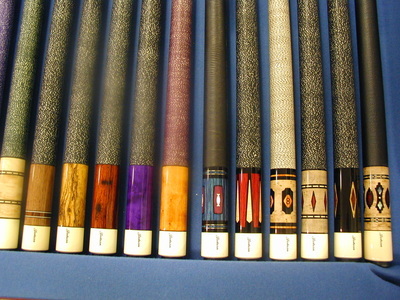 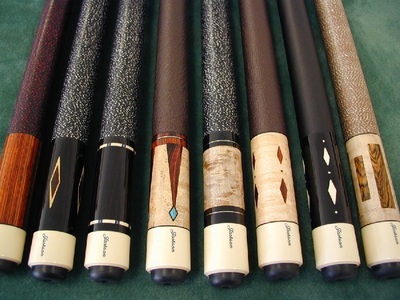 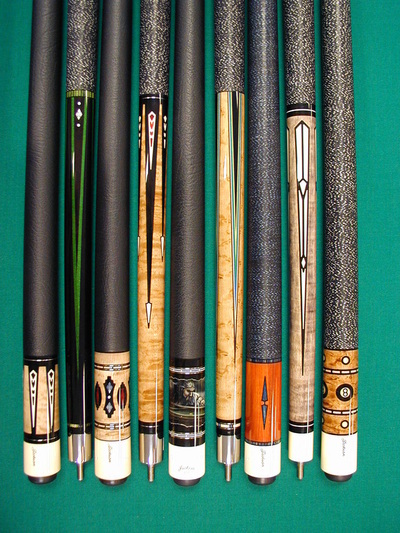 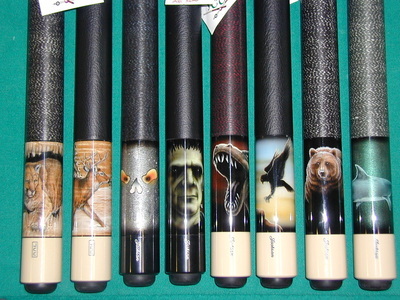 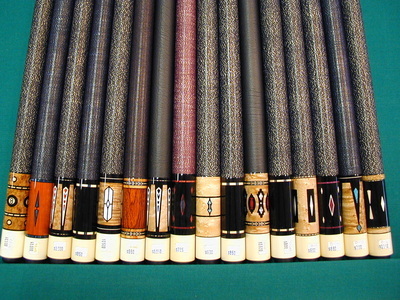 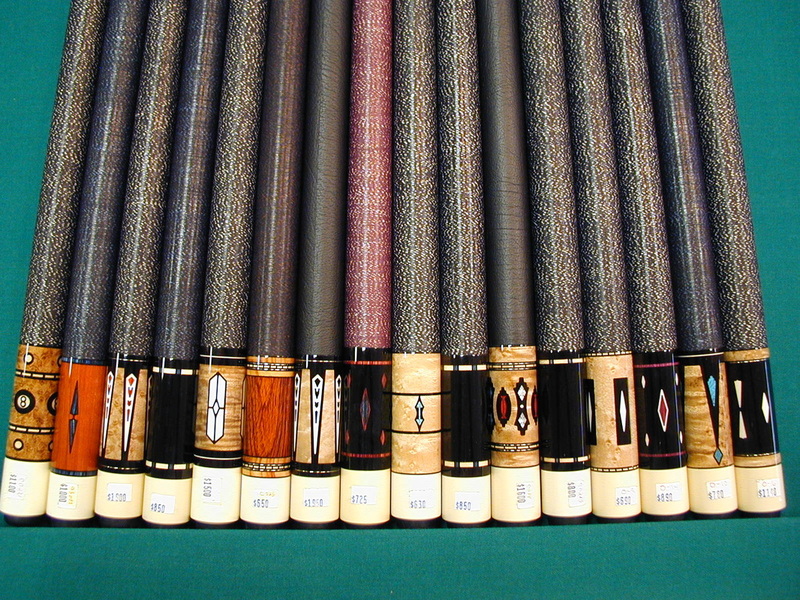 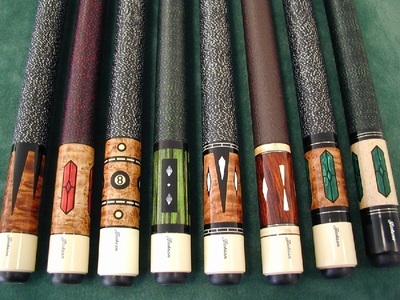 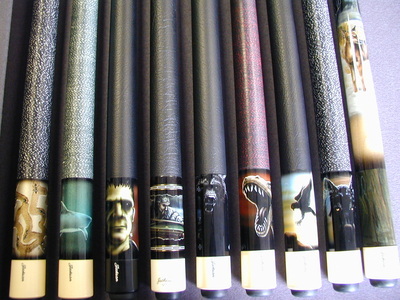 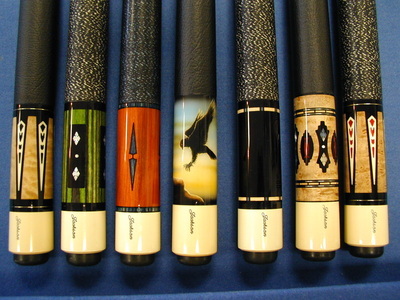 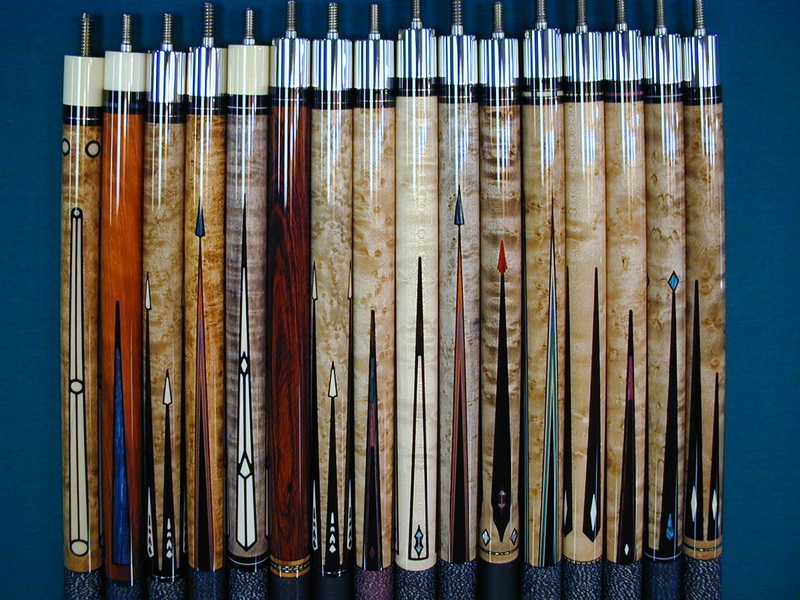 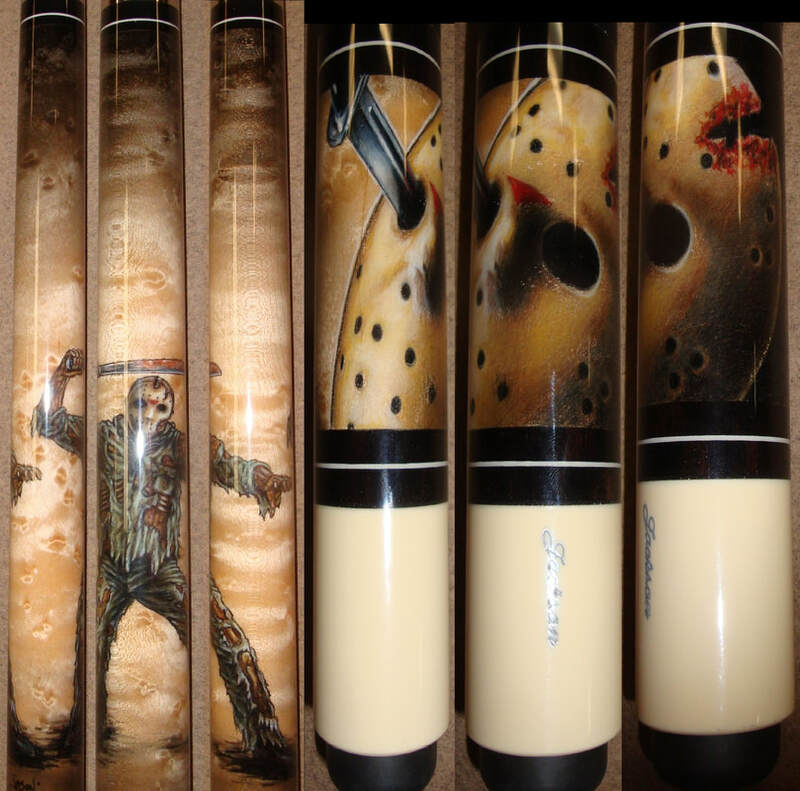 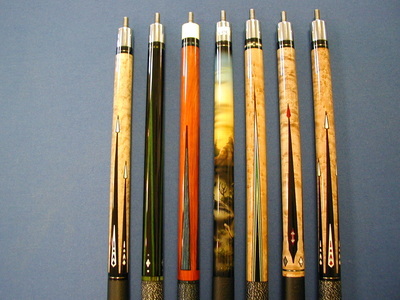 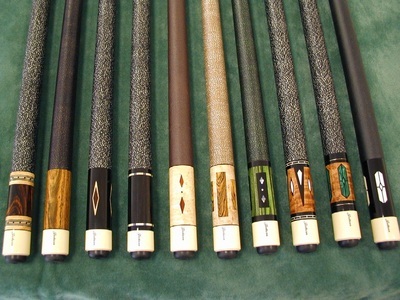 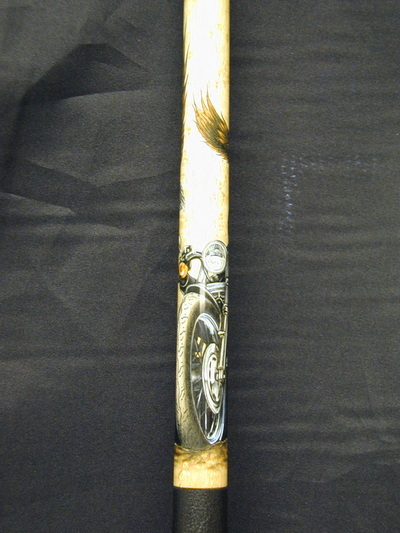 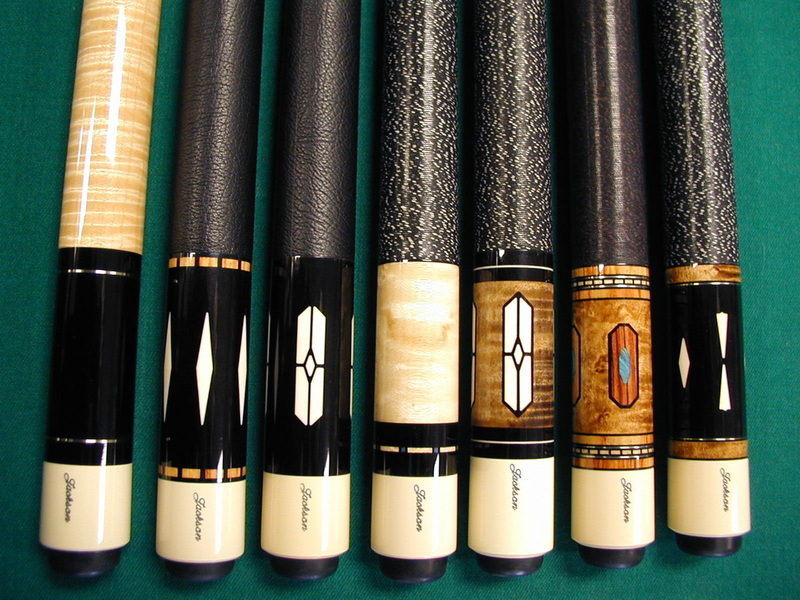 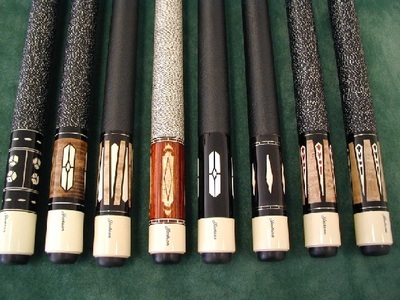 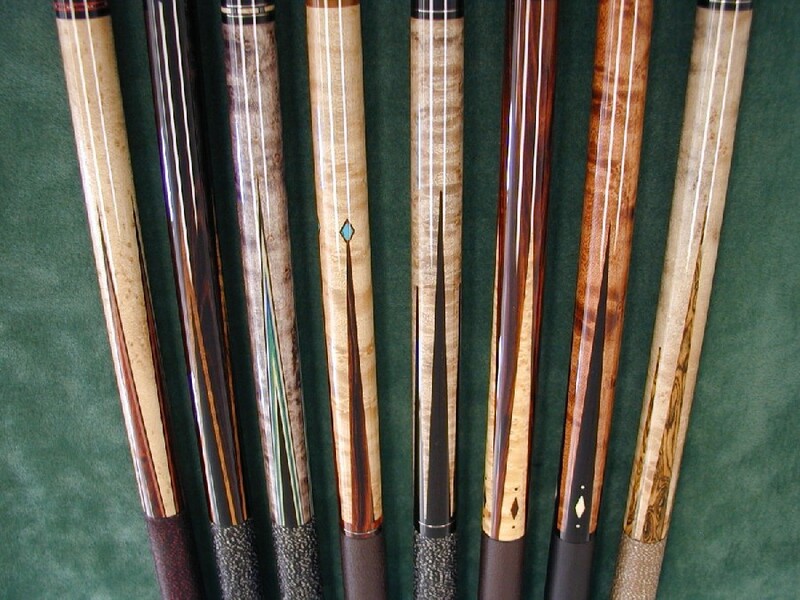 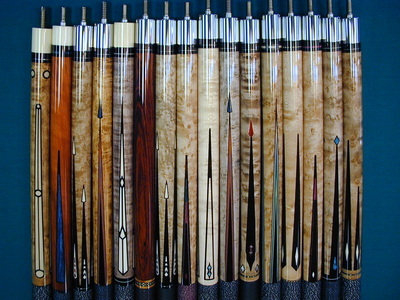 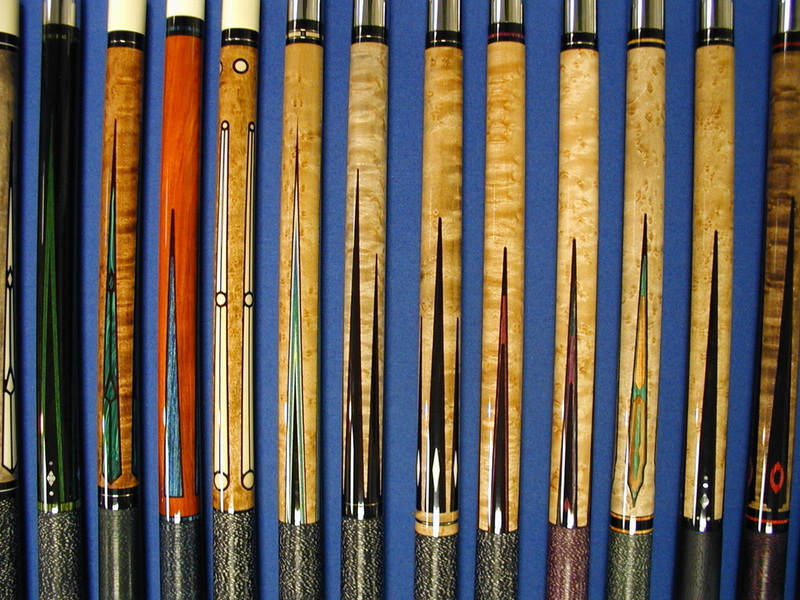 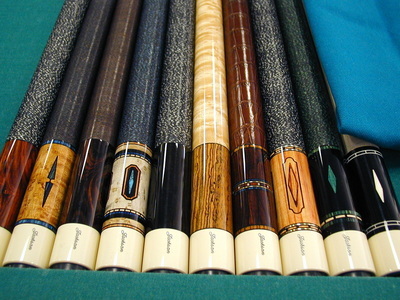 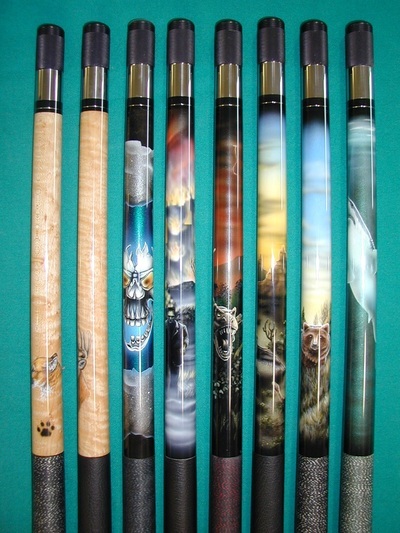 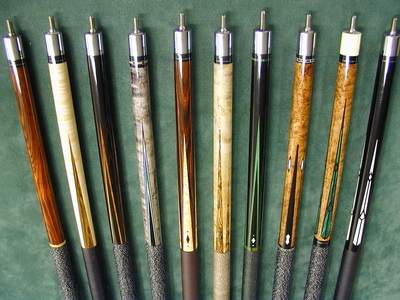 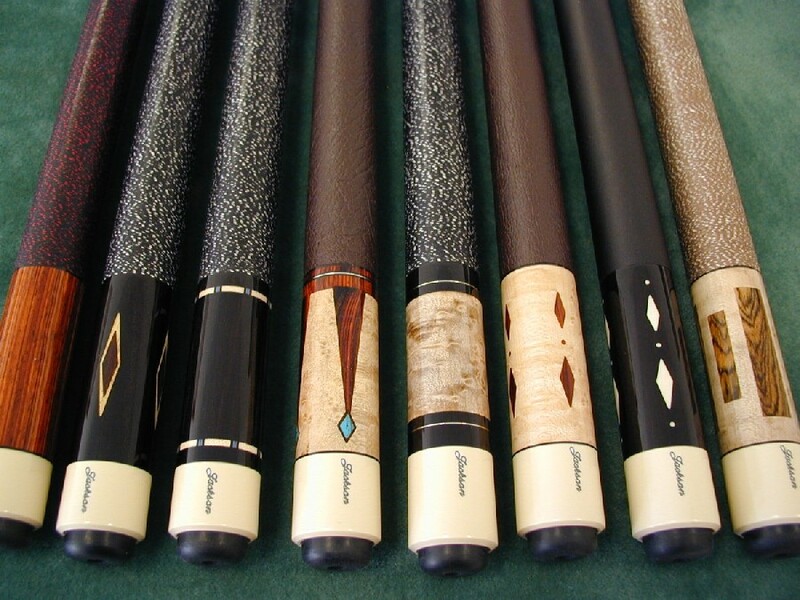 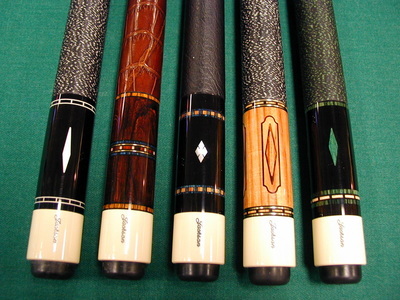 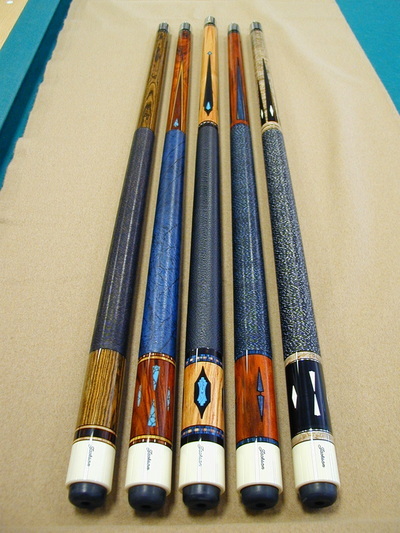 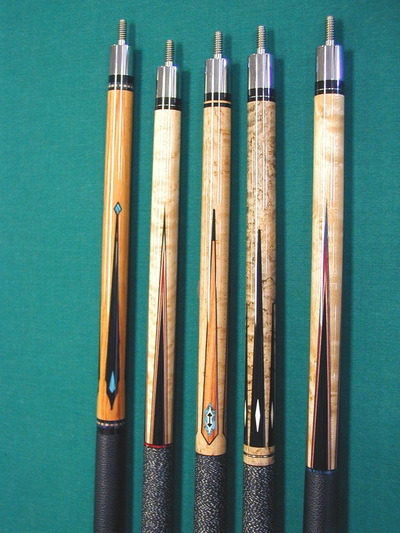 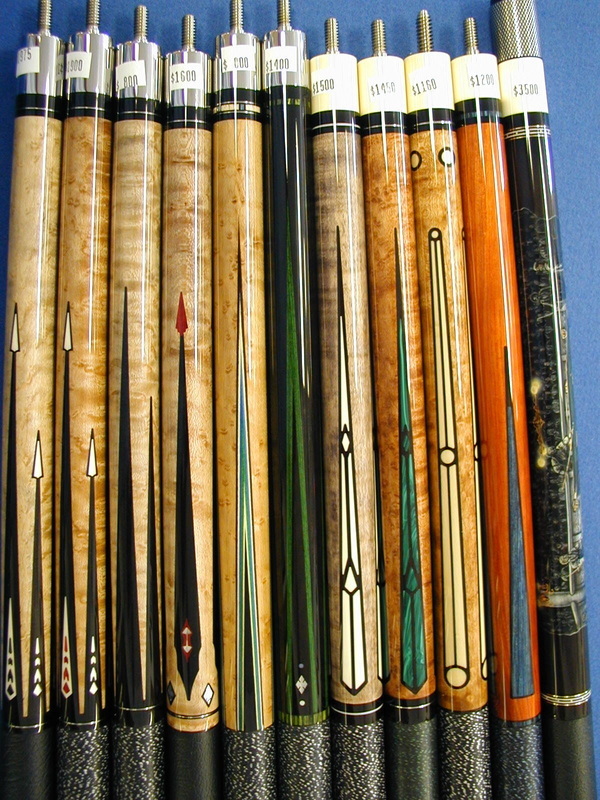 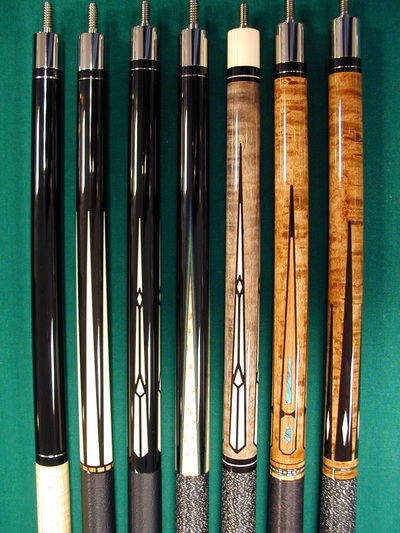 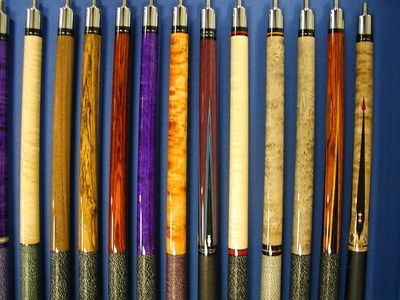 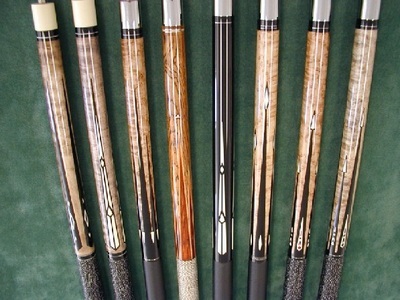 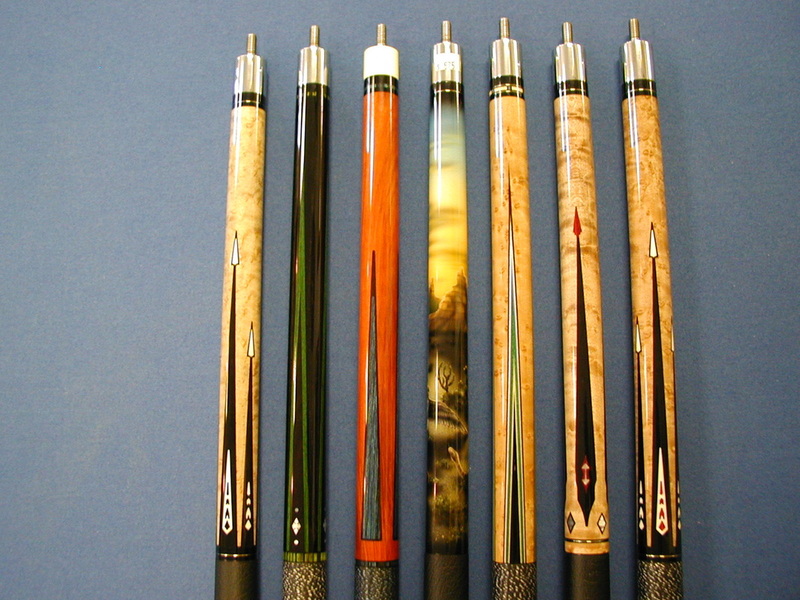 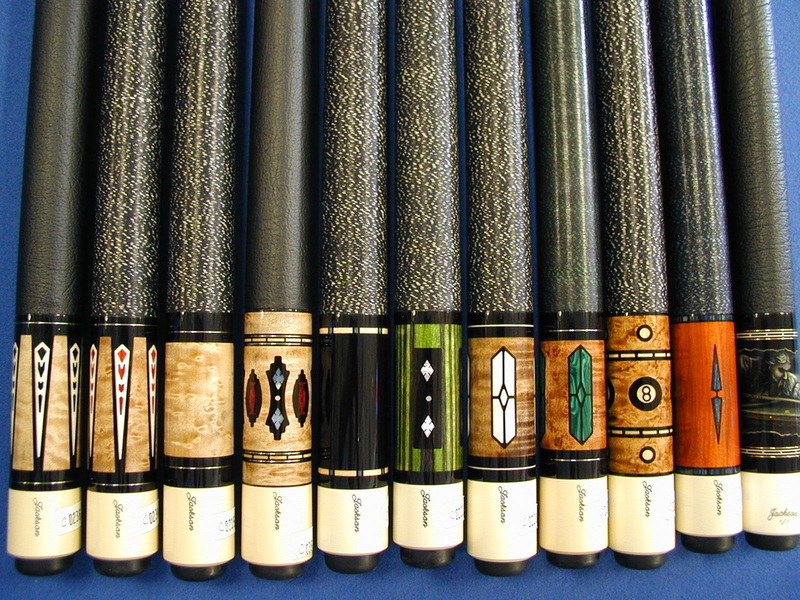 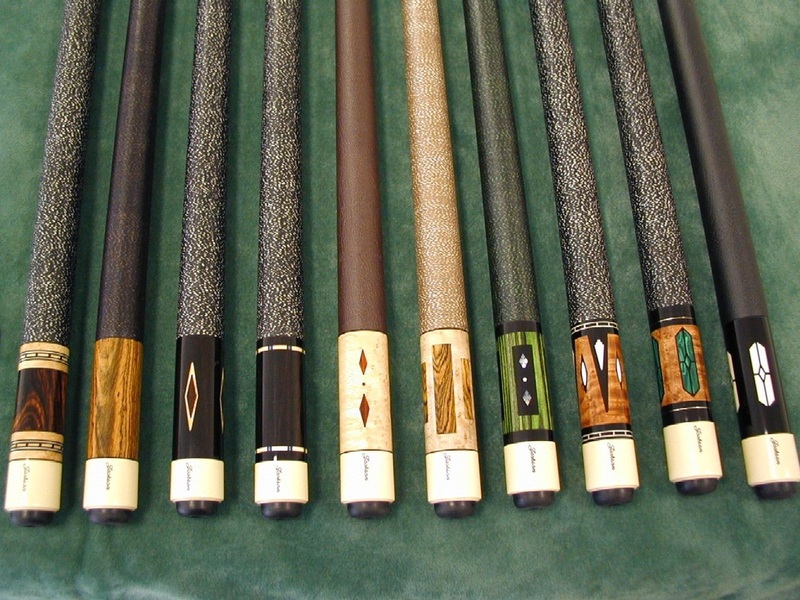 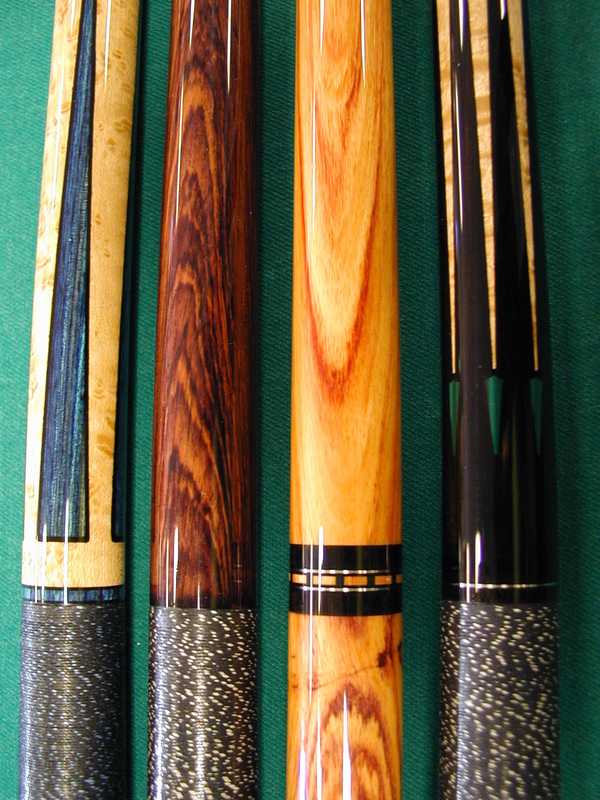 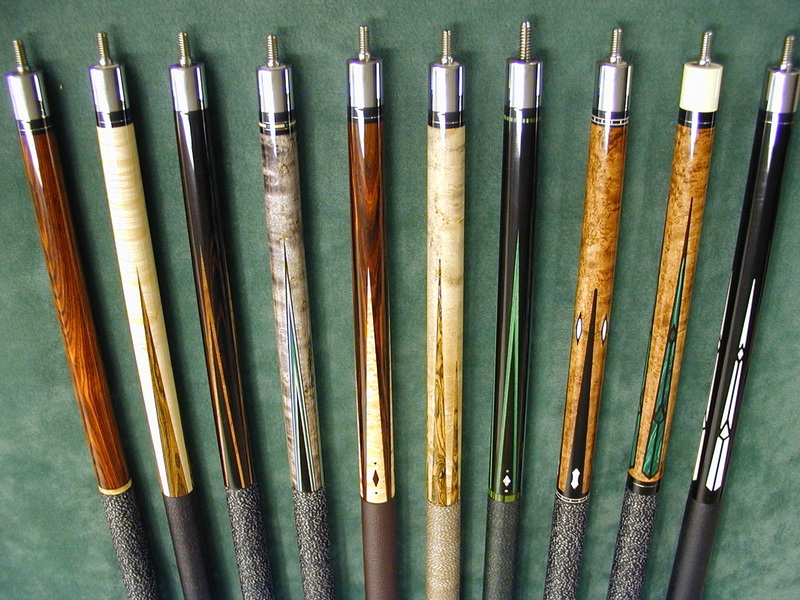 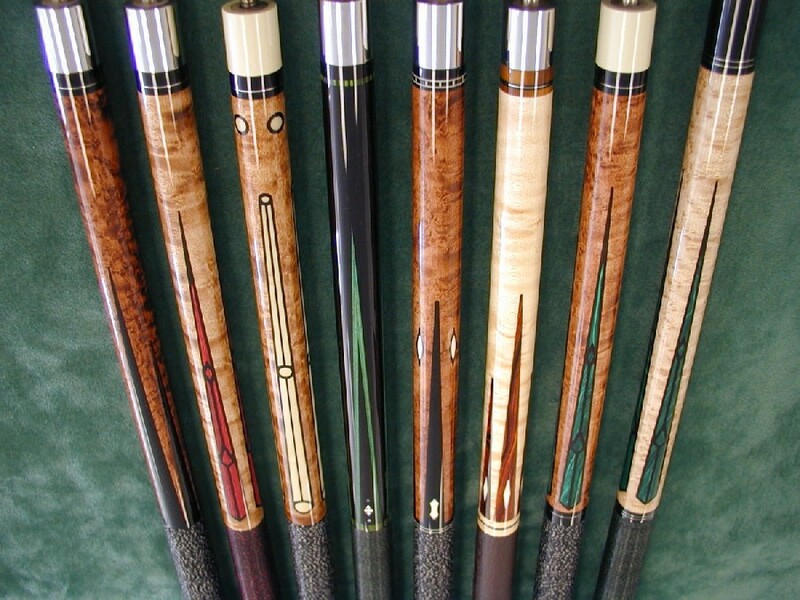 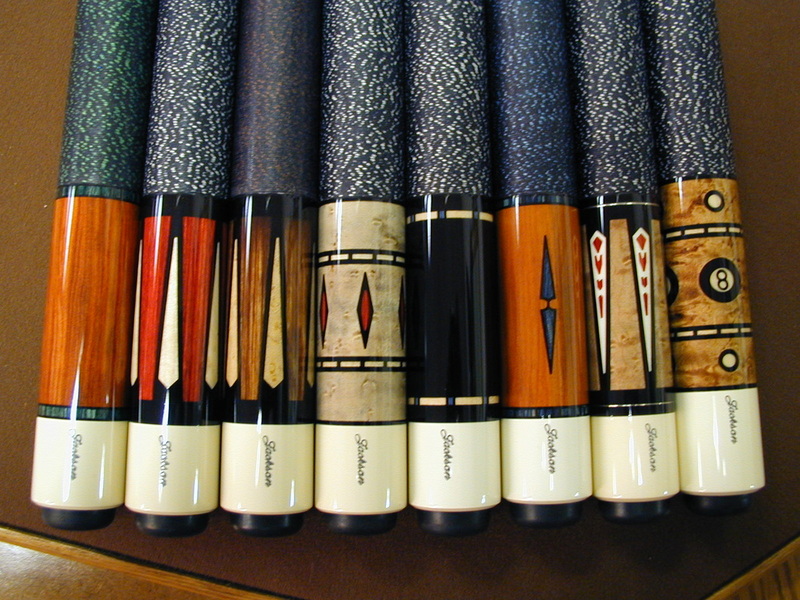 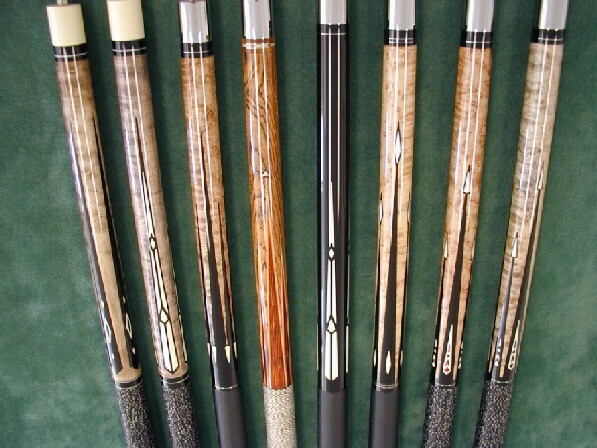 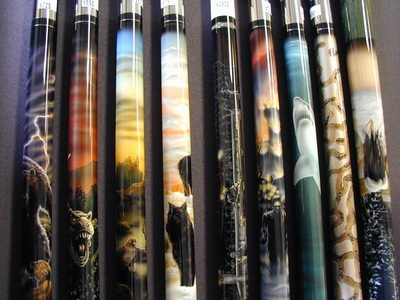 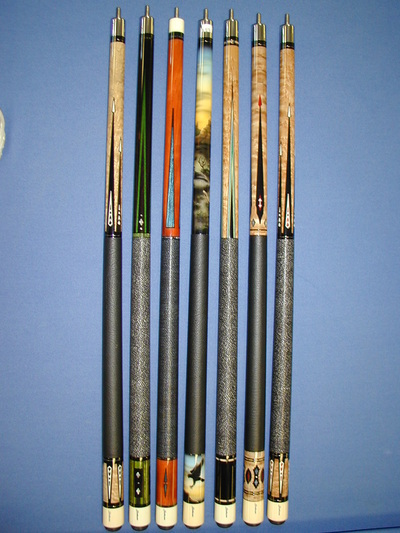 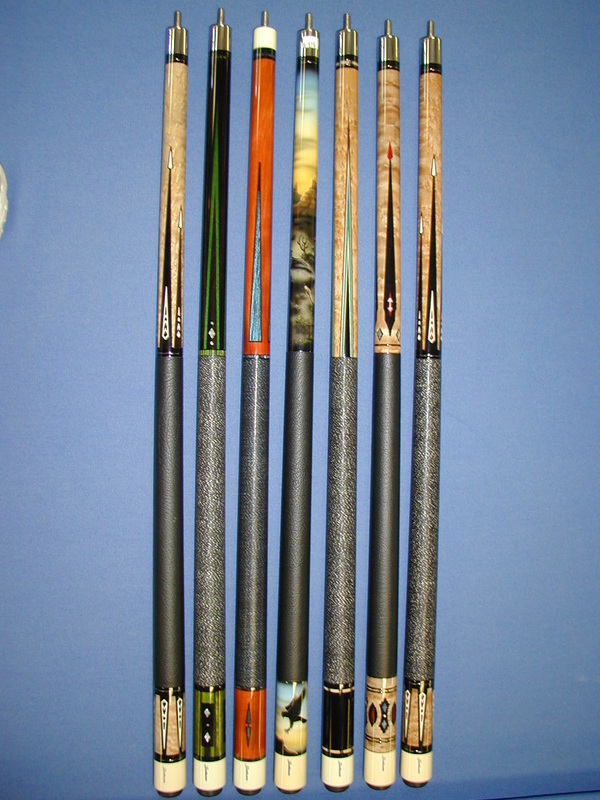 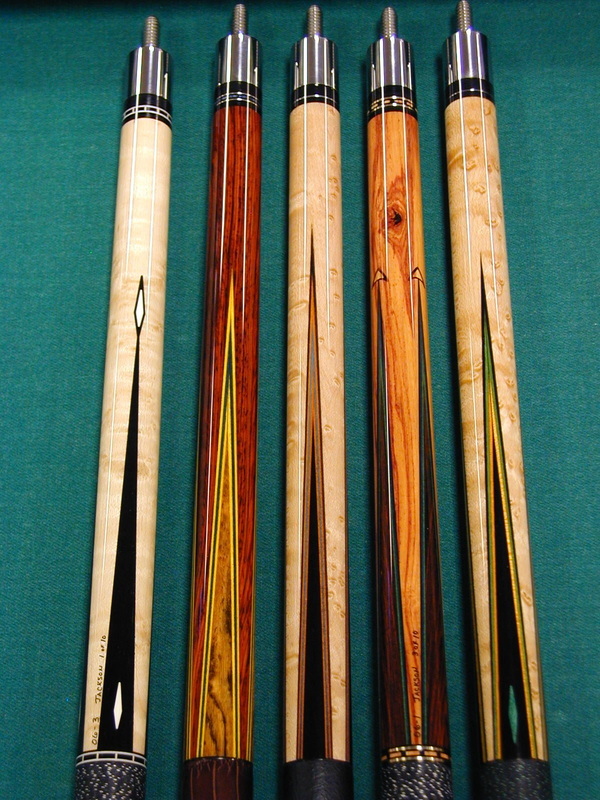 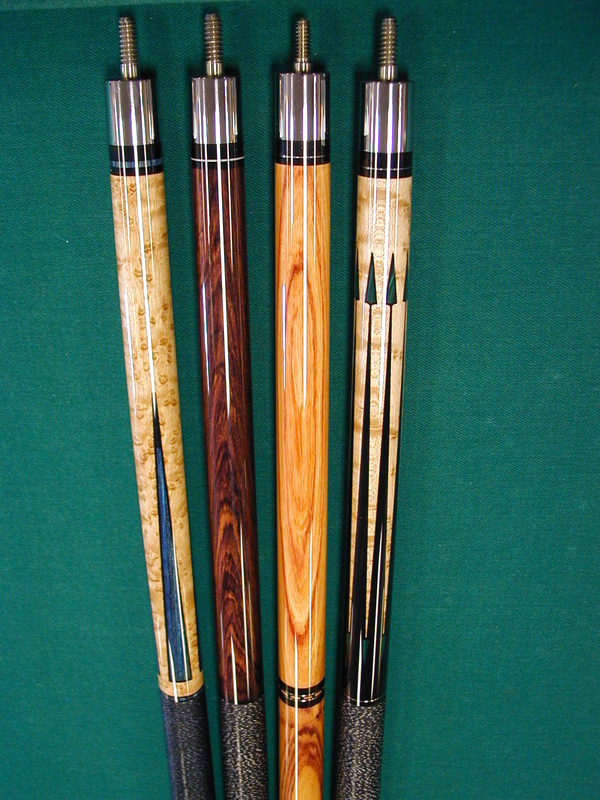 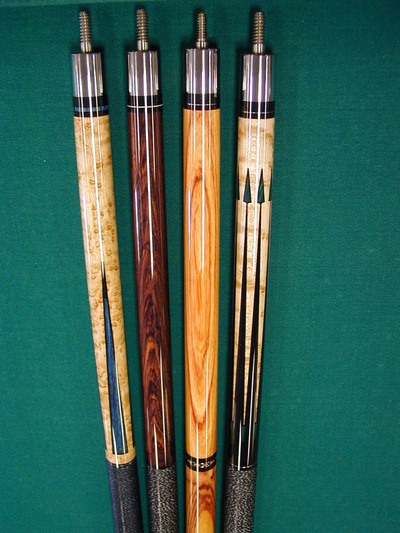 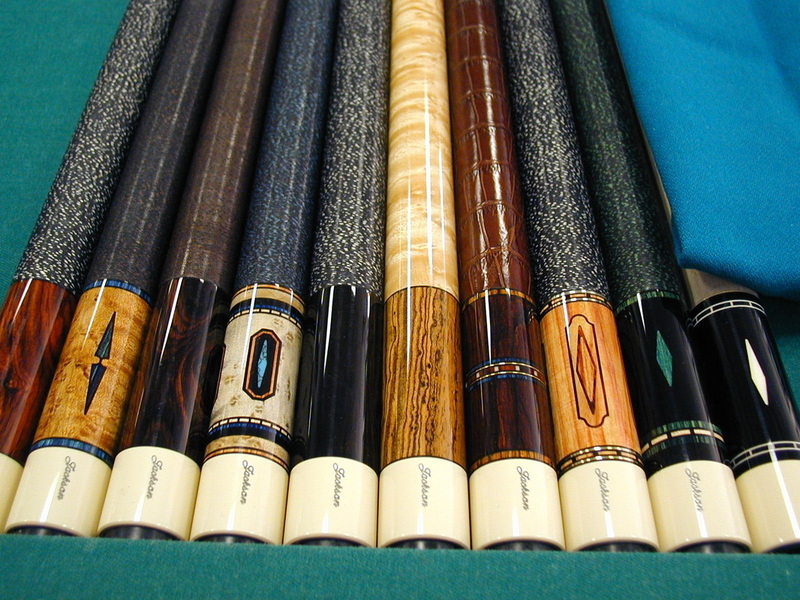 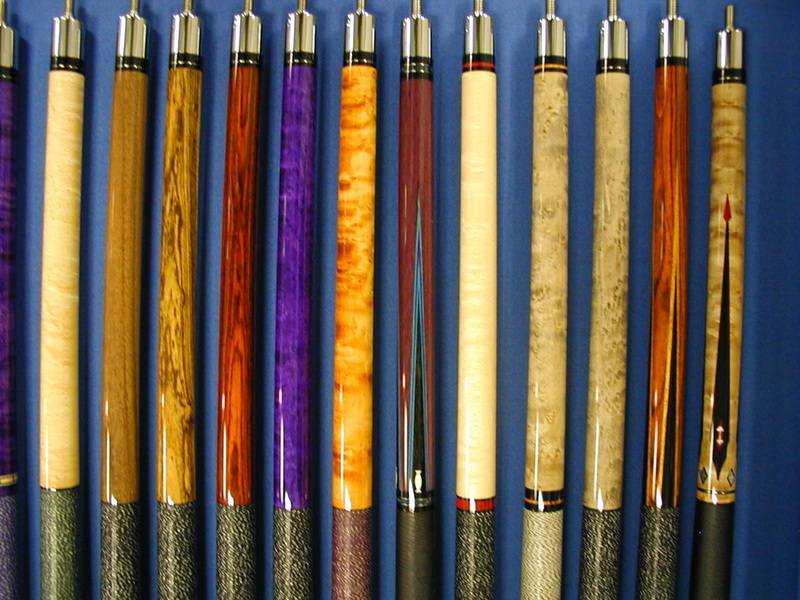 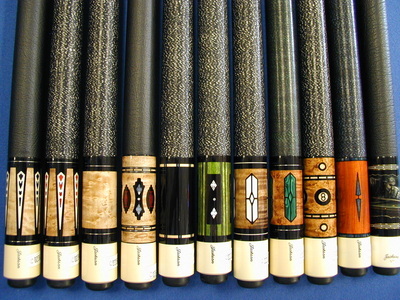 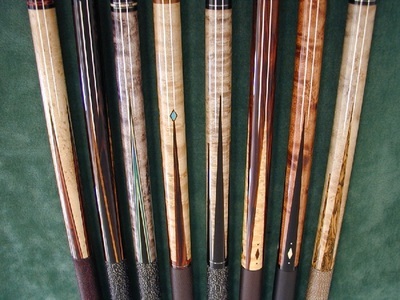 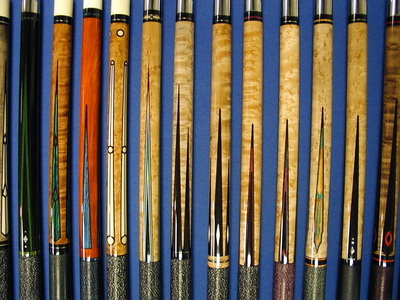 These cues are not available for sale at the present time. This is a gallery to show you the various cues we have made in the past. 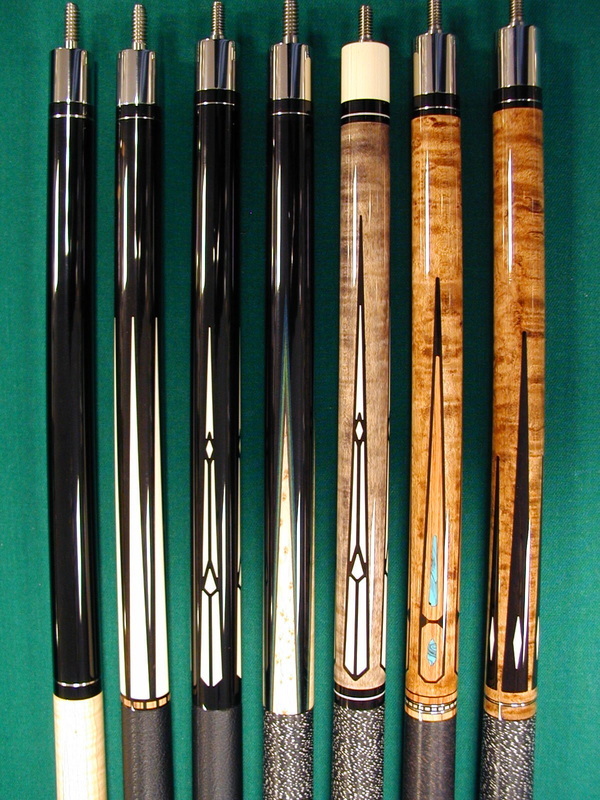 While most can be replicated, any cue that was designated a "1 of 1" or "1/1" can not be identically made again. 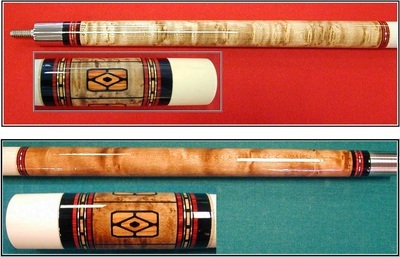 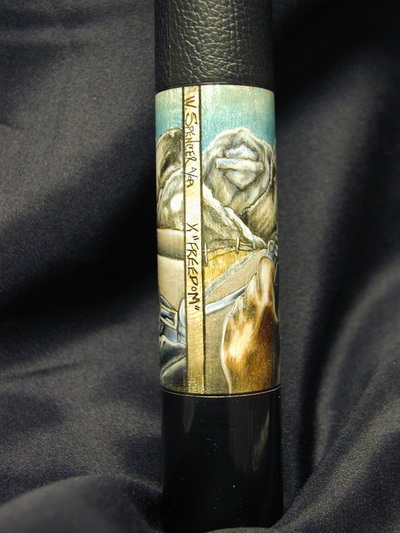 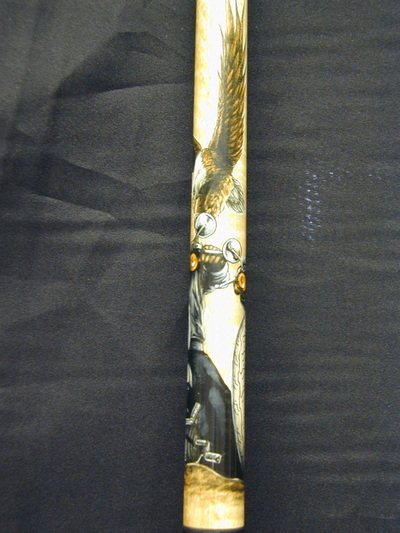 *This is a Jackson Custom Cue that was signed by Ewa Mataya Laurance at the 2013 BCA State Tournament. 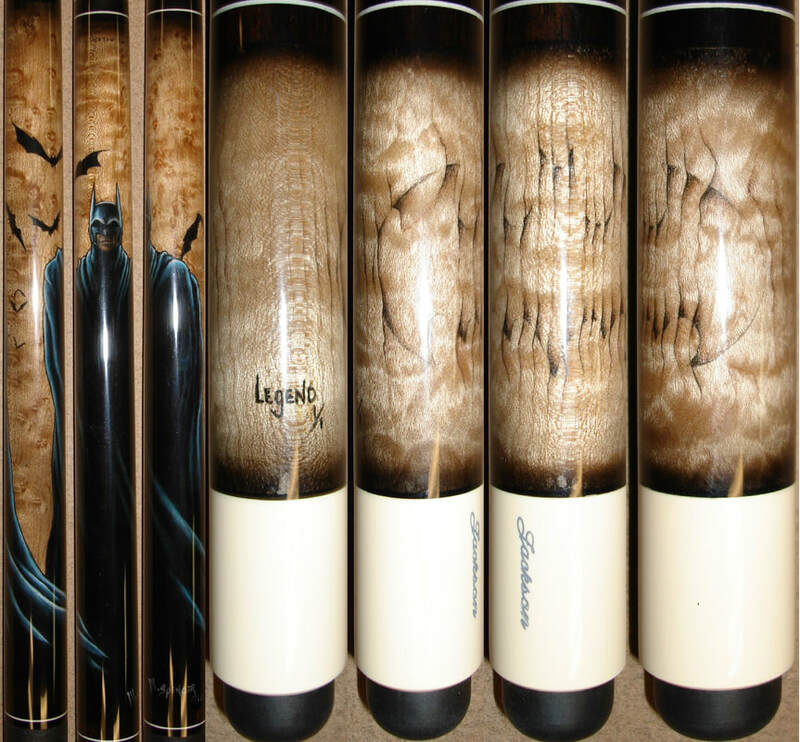 She signed our cue directly onto the wood, we then put our finish over the top of it to ensure that her signature will never fade. 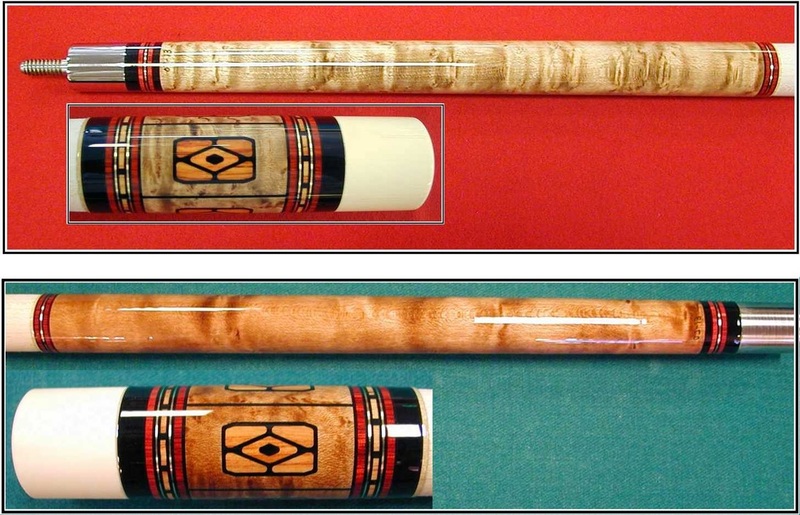 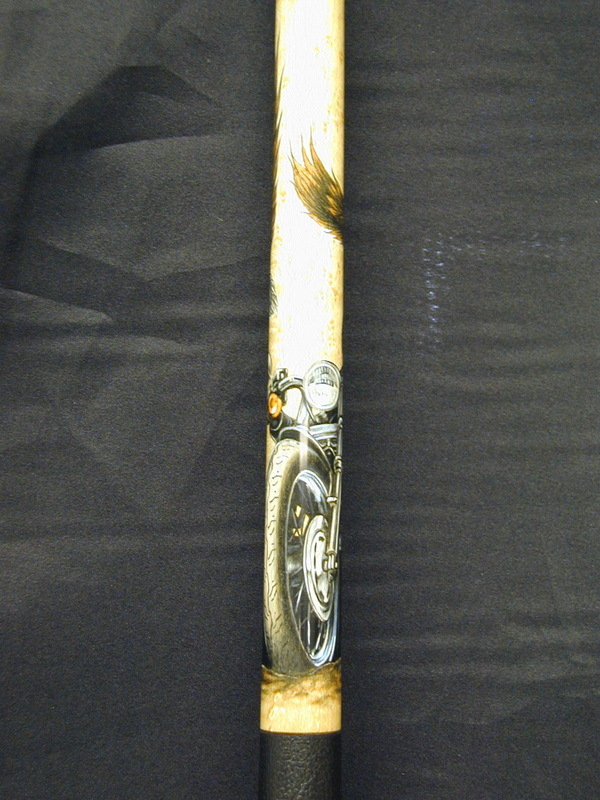 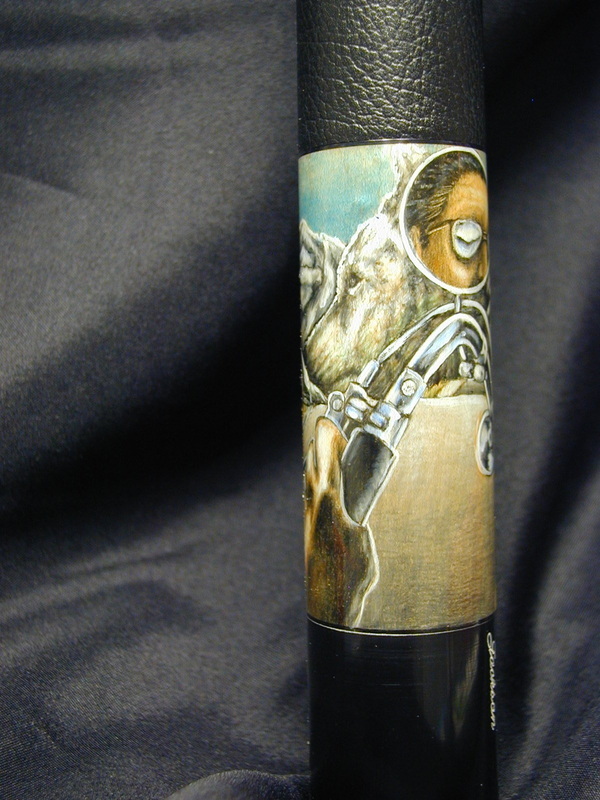 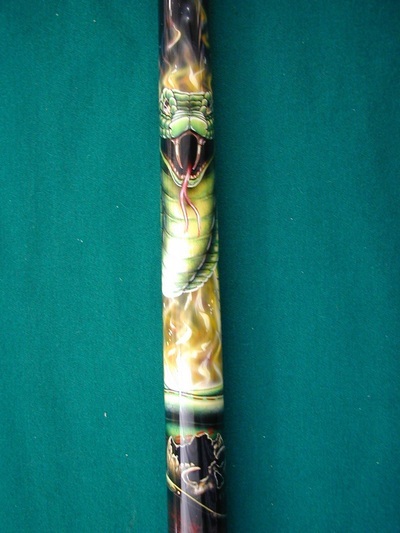 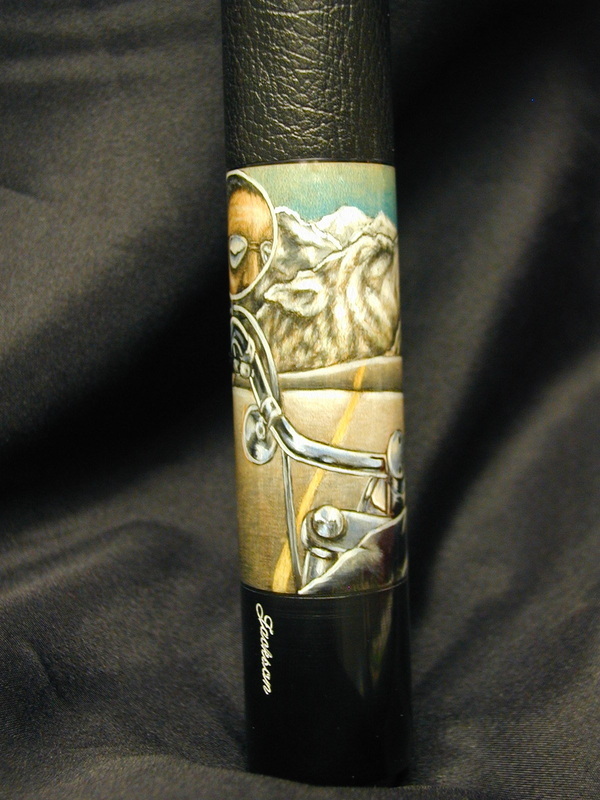 *This is the first 5-Point Jackson Custom Cue ever made. 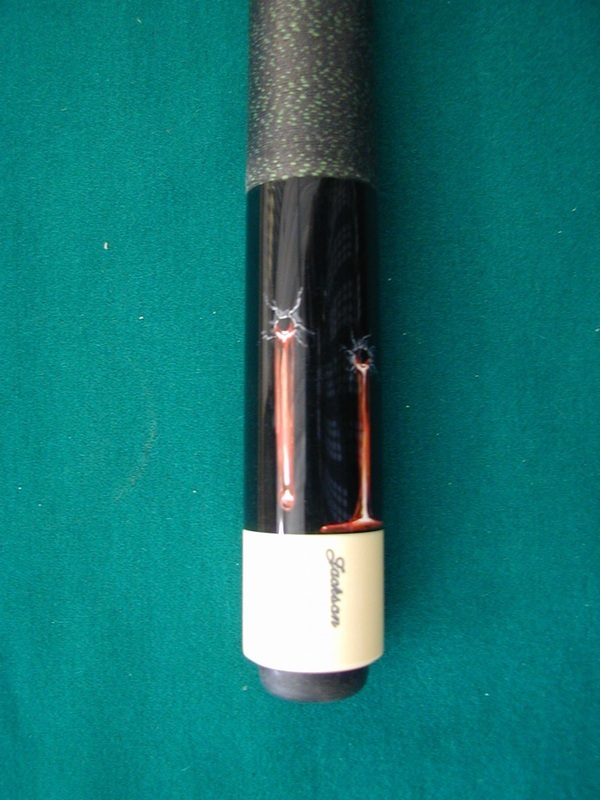 It features 5 Floating extended diamond points with three inlays in each top and each bottom point. 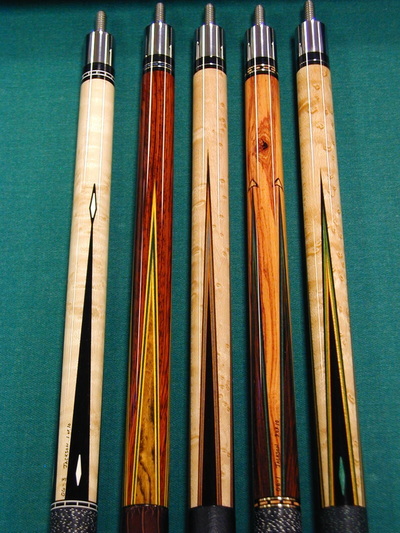 -Cocobola and index rings hightlight this Birdseye Maple cue.